In 2017, Ellusionist’s hit deck “Killer Bees” raised a staggering $30,000. Decks you bought caused this. Every time you bought an Ellusionist BEE deck a portion of your money was paid directly to IUCN where it was directed to Bee research and recovery. Pesticides, Cell Towers and changing agricultural practices have led to large-scale losses and degradation of bee habitats. In 2018, together we will do the same for our oceans. Please help by adding a deck or two to your cart. Use them in your magic and raise awareness of the issues. 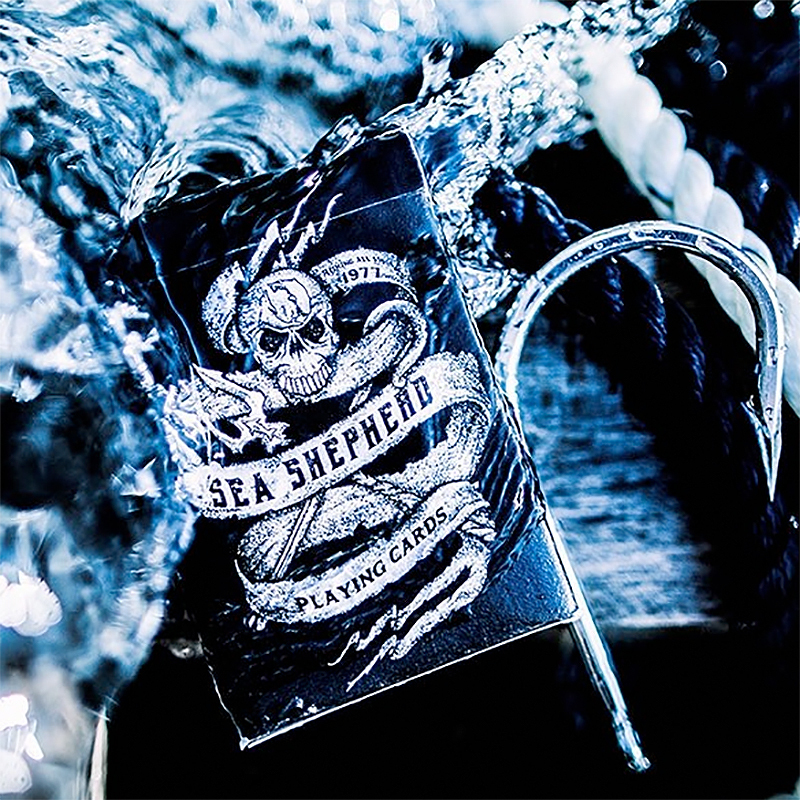 Sea Shepherd are certifed "BADASSES" who first got our attention with a spray-painted shark on their boat that they use to physically RAM illegal fishing vessels through the waves. Providing a much needed dose of justice for our marine life. Since Sea Shepherd embarked on its first whale defense campaign, over 6000 whales have been saved from Japan’s deadly harpoons. With this deck, you are committed to leaving the planet in a better state than when you found it. We are too. - Crushed Stock. - Traditionally Cut. - Custom colored court cards. Enforce the oceans. Get your Sea Shepherd decks TODAY. • The cards are poker size. Αυτό το προϊόν προστέθηκε στον κατάλογό μας την Wednesday 21 March, 2018.